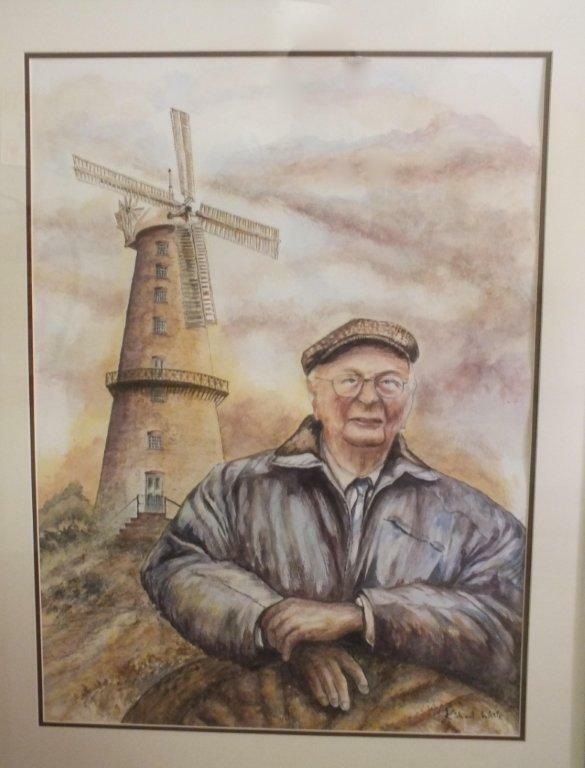 Local artist Richard White attended the Christmas meeting of the Friends of Moulton Mill to present a painting called 'The Last Miller'. The painting represents over 60 hrs work and depicts the last miller, John Biggadike, sitting in front of Moulton Mill. This magnificent water colour will hang in the Mill following redecoration over the xmas period. John Biggadike was present at the meeting and was extremely pleased with the painting. Our thanks go to Richard for this wonderful piece of art.